Orocobre continues to move forward several lithium growth projects including: Olaroz Phase 2, and Japan hydroxide facility. Increasing share valuations will be linked to the advancement of these assets. Short-term production issues continue to be resolved. Long-term outlook still remains positive. The first quarter of 2018 has been a roller coaster ride for shareholders in Orocobre (OTCPK:OROCF). At the beginning of the year, shares in the company screamed to all-time highs, followed by a rapid and sudden decrease in share price. The fall-out in the share price was more of a reflection of the overall lithium industry, due to some research firms reporting a potential oversupply of the white metal, which I believe to be an exaggeration with respect to the current and mid-term situation. The reality is that Orocobre continues to experience growing pains as it works towards achieving nameplate capacity, which is the situation with any expanding chemical or manufacturing company. Behind all of the smoke, there stands an organization that has been able to defy all odds by bringing the only Greenfield lithium brine chemicals plant in the world to market. Today the company is 15% owned by Joint Venture partner, Toyota Tsusho who is the strategic trading arm for Toyota Motors (TM). Toyota Motors has announced a significant increase in its electrification strategy as outlined in a recent document. The recent capital raise of over $300 million ensures that the company’s Phase 2 expansion at Olaroz and its Japan-based lithium hydroxide facility are financed. The company has also sufficient capital to earmark towards its exploration efforts at its 25% owned Cauchari project. These exploration efforts are being undertaken by the company’s partner, Advantage Lithium. Orocobre is the ideal fit for investors looking for direct exposure to the lithium markets as the company has overcome initial construction and start-up issues, is fully financed, is generating meaningful cash flow, maintains a Joint Venture with a subsidiary of the largest automaker in the world, and offers exposure to both carbonate and hydroxide demand and additional exploration efforts in the Cauchari-Olaroz basin. 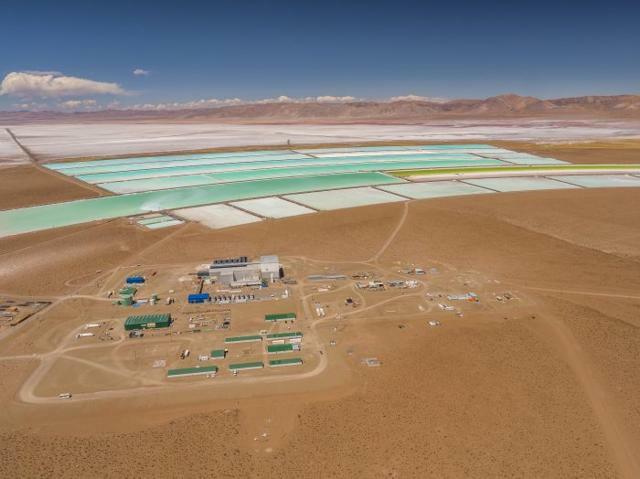 On the supply side of the equation, Chilean authorities have recently announced a plan to allow SQM (SQM) to increase lithium production in Chile, while several new Australian lithium miners have moved to increase spodumene concentrate and ore direct shipments to Asian processors. In Canada, CATL, the soon-to-be largest lithium battery manufacturer in the world, has essentially acquired the Quebec lithium project, while Nemaska Lithium (OTCQX:NMKEF) has done well to acquire the necessary capital to bring its lithium project to market. On the demand side of the equation, global new energy vehicle sales continue to gradually increase. In the first six months of 2018, worldwide new energy vehicle sales have steadily been increased from 82,000 in January to 160,000 in June. Secondary applications such as stationary energy storage systems continue to gain momentum, based on decreasing battery prices and a surge in renewable energy deployment amongst other factors. The decrease in lithium battery prices is also beginning to open up a flood of new opportunities for lithium technology such as: electric buses, ferries and locomotives, along with materials-handling electric vehicles. The conversion to lithium batteries in nearly all consumer mobile goods is well underway. Now it is a matter of how much demand will rise and when, not if, it will happen. Looking back only 3 to 4 years ago, the transition to electric vehicles was still unclear. Today, nearly every global automaker has announced their strategic vision regarding the build-out of an all-electric and hybrid vehicle product offering, with nearly all models including lithium batteries. Collectively, demand is moving in the right direction, while supply has been exceptionally slow to bring on-line. Even in an over-supply scenario, the Australian hard-rock producers would be the first to be hit as they have the highest cost curve, especially compared to mature lithium brine assets. The recently issued Morgan Stanley report illustrates the most bearish case for lithium chemicals. Even under such a scenario, Orocobre will still remain healthy. The report states that lithium carbonate pricing could decrease to $8,000 T LCE over the next years, which still implies at least a margin of around $4,000/T LCE for Orocobre. With an expected increase of nameplate capacity to 42,500 T LCE per year, the company could achieve a gross margin of around $100 million based on the current share structure of the Olaroz project. This does not take into account any proceeds from its share ownership in Advantage Lithium (OTCQX:AVLIF), Cauchari or the soon-to-be constructed Japanese lithium hydroxide facility. Orocobre and Toyota Tsusho have outlined a path. The company has confirmed that the necessary permits for project expansion have been received and that preparatory work has commenced, including upgrades to local infrastructure. The company has confirmed that this project is fully financed.